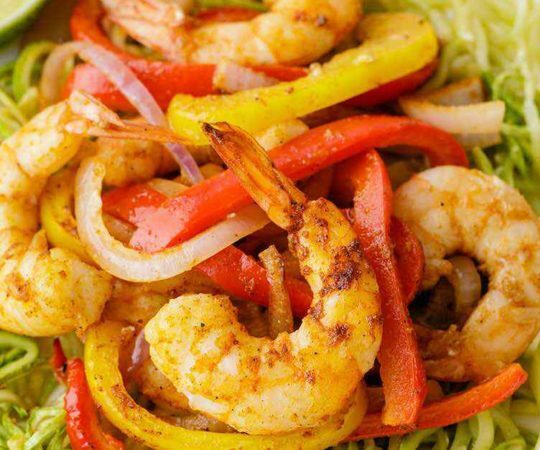 When it comes to Southeast Asian cuisine, it’s usually Thai food that people rave about. That’s fair considering Thai food is indeed delicious, however, one should definitely not neglect Vietnamese food either. Vietnamese cuisine is absolutely wonderful, and many people actually prefer it over Thai food for many reasons. If you're not too familiar with Vietnamese food, this recipe is the perfect place to start because it's incredibly simple and doesn't take long to make. 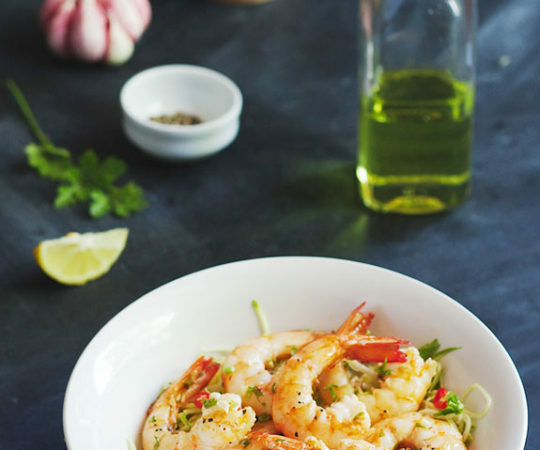 Traditional Vietnamese cuisine takes hours to cook, but this Vietnamese shrimp salad which already includes a homemade paleo-friendly dressing will only take half an hour. The secret sauce of this recipe is most definitely in the homemade dressing. 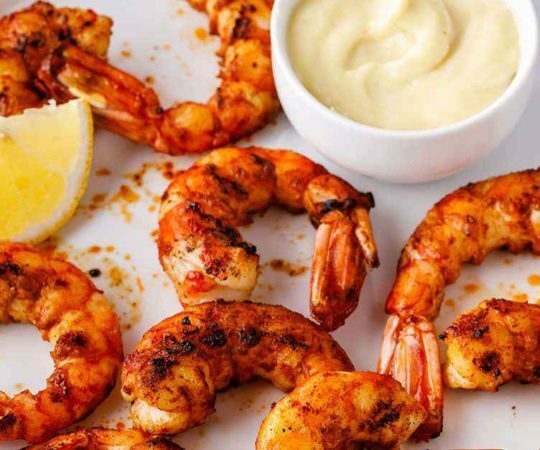 By mixing together lime juice, honey, olive oil, apple cider vinegar, and a paleo approved fish sauce, you form a sweet and tangy base that also has a great seafood flavor as well. The addition of fresh cilantro (or parsley if you prefer), garlic cloves, chili flakes, and red onion round out all the distinct flavors in this dressing. 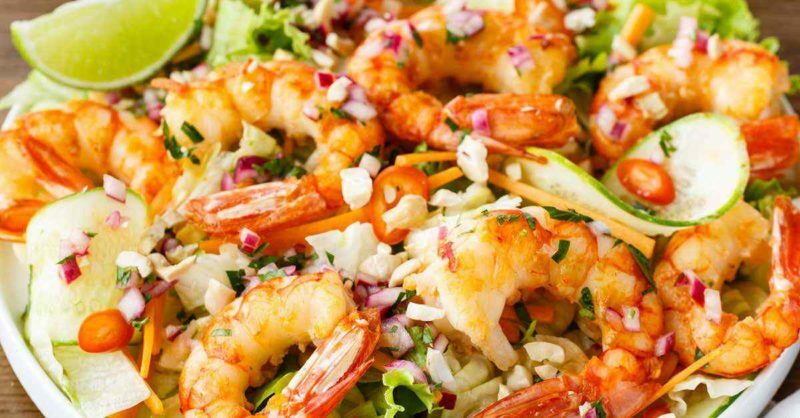 Anyone who likes seafood will surely fall in love with this dressing recipe. Spring rolls, whether fresh or fried, are a staple in Vietnamese cuisine. They are great to serve at home or during picnics since they are so easy to eat and don’t take long to prepare at all. 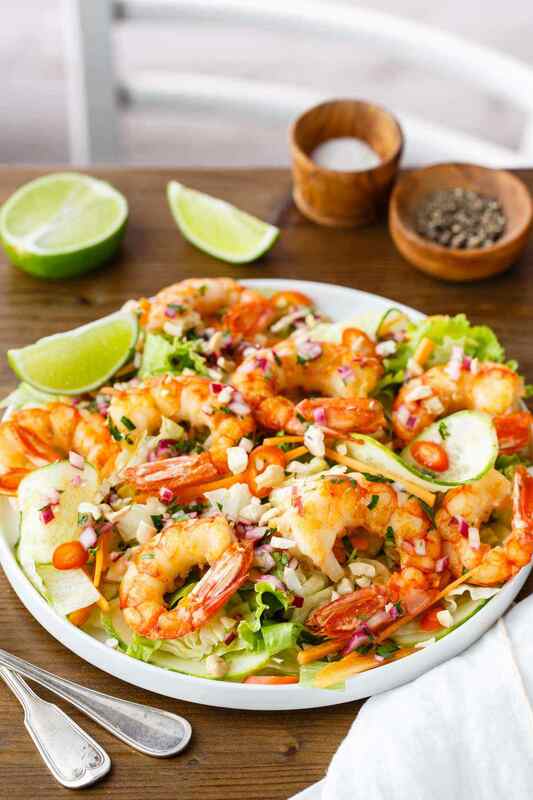 We’ve compiled a list of recipes that you can try if you want something heavier to accompany your Vietnamese salad. The best part about making spring rolls is how easily you can adjust the protein sources depending on you and your guests’ preferences. 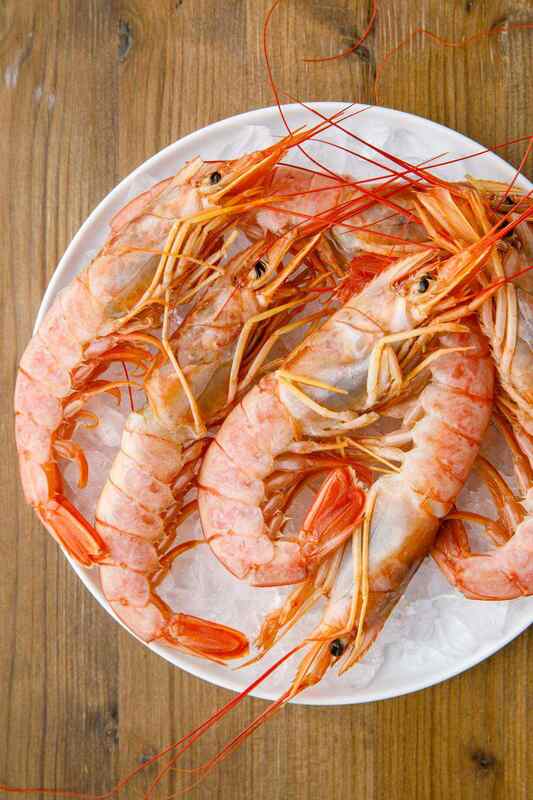 Choose between shrimp, chicken, beef, fish or pork for added variety. 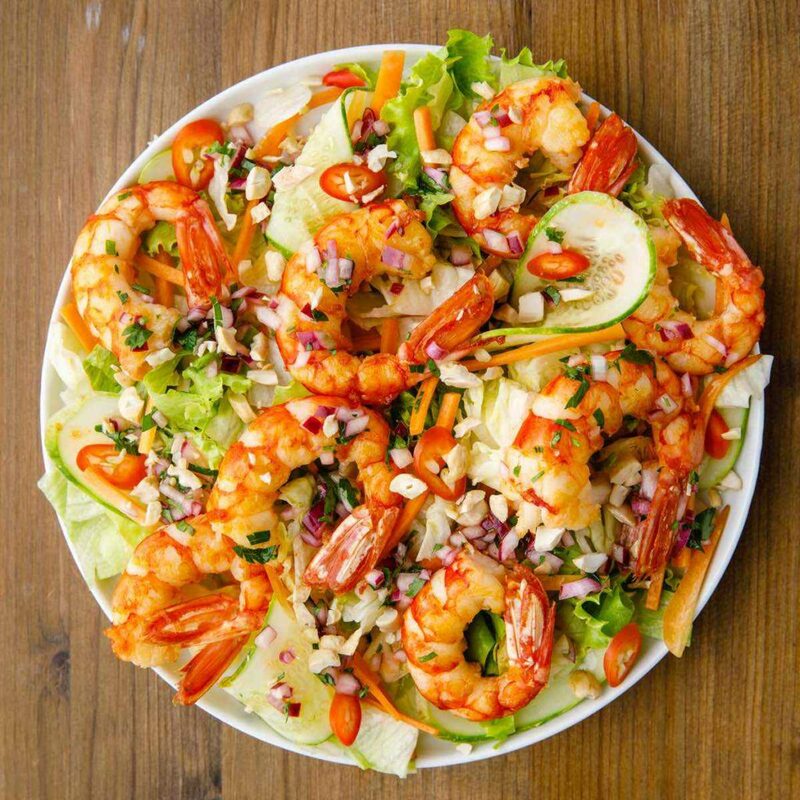 If you consider yourself a connoisseur of Southeast Asian cuisine, then you definitely owe it to yourself to try out this Vietnamese shrimp salad. 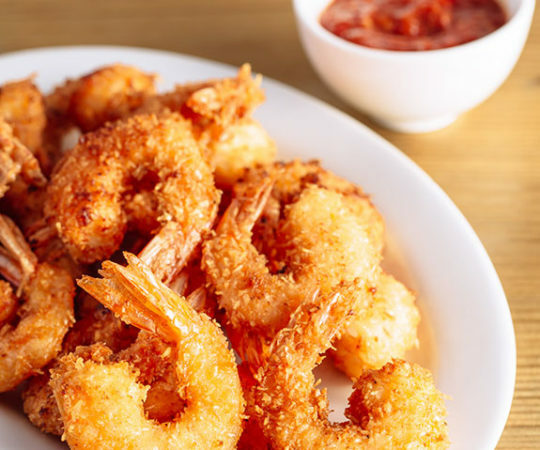 It’s the perfect combination of seafood along with sweet and spicy flavoring that’s so good, you might be opting for Vietnamese food over Thai food from here on out. But let’s be realistic — there’s no reason not to enjoy both as often as you’d like as they both provide some fantastic paleo-approved meal options that are packed with nutrients. PS. As I’m sure you’ve noticed by now, I’m a huge fan of both Vietnamese and Thai food. However, my love for other dishes doesn’t end there. If you’re looking to try even more paleo-friendly dishes from around the world, check out these 15 authentic Korean recipes as well. And for lovers of Indian cuisine reading this, you absolute must try this Indian style paleo stew recipe. That’s not the only international style stew that I love though, as there’s also this incredible African “peanut” stew that includes chicken as well. 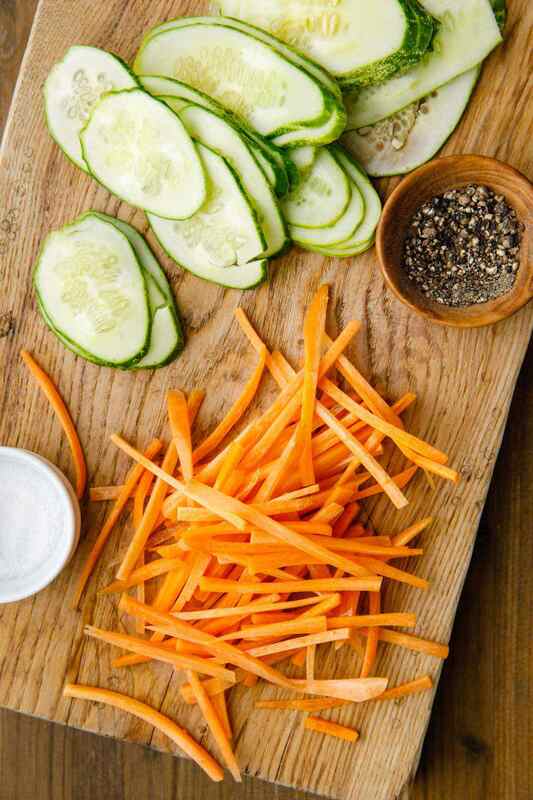 To make the dressing, place the olive oil, lime juice, apple cider vinegar, honey and fish sauce in a bowl and combine. Add the onion, cilantro, chili flakes, garlic and mix to combine. Set aside. Preheat a grill pan to medium heat. Brush with olive oil. 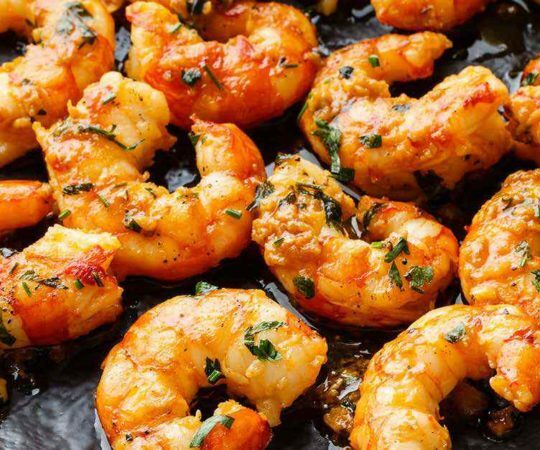 Add the shrimps and grill, turning halfway, until shrimp are pink and opaque, about 4 minutes. Combine the lettuce, cucumbers, carrot, chili and cashew nuts in a large bowl. 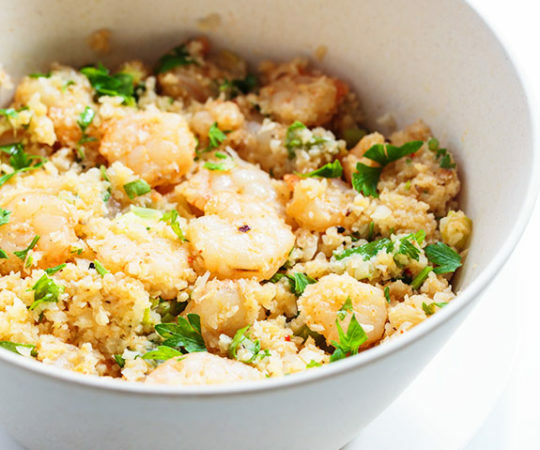 Top with shrimps and serve.